Consultant palliative care nurse Jo Wilson has used her PhD studies to improve the care of people with terminal illnesses. Consultant palliative care nurse Jo Wilson has used her PhD studies to improve the care of people with terminal illnesses, even before receiving her doctorate in Wednesday’s winter graduations. Jo spent six years studying part-time for a Psychology PhD alongside caring for patients in hospitals at the end of their lives. She was inspired to pursue a PhD after realising that, despite the best intentions of hospital staff, during some patients’ care the recognition that they were nearing the end of life wasn’t always happening soon enough to provide the very best care. Knowing that University of Bath has a world-leading psychology department, and is also the home of the Centre for Death & Society, she thought Bath was the perfect place to do her PhD. As a result of her research Jo has been instrumental in setting up weekly meetings in hospitals to bring clinicians together to discuss any patient likely to be in their last year of life. The meeting addresses this aspect of care particularly to ensure all clinicians are in agreement; to address any anxieties, concerns or worries the clinicians might have; to think about ethical decision-making, and to think about resources available to patients and families ahead of the clinician engaging further with the patient and family. Jo has also introduced numerous other measures and techniques learned through her studies. She said: “It’s been a real help for me in clinical practice. Every day you’re learning how to do something better or learning something new, so you really see the benefit. 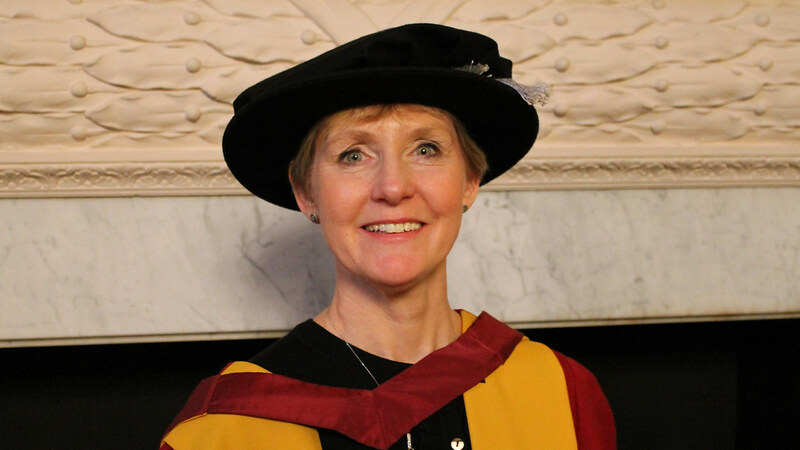 “I feel extremely lucky to have come to Bath and been helped by Prof Tony Walter and my supervisor Dr Paula Smith, as well as Dr Helen Lucey.” To juggle her job, studies and look after two children who were teenagers when she began the PhD, Jo kept rigorously to a strict schedule, rising at 5am every day to read. Another motivation for Jo was to see her work translate directly into her working practice. Jo now plans to spend time writing up five academic papers using the data gathered from her research, and continuing to work to improve clinical practice in palliative care.